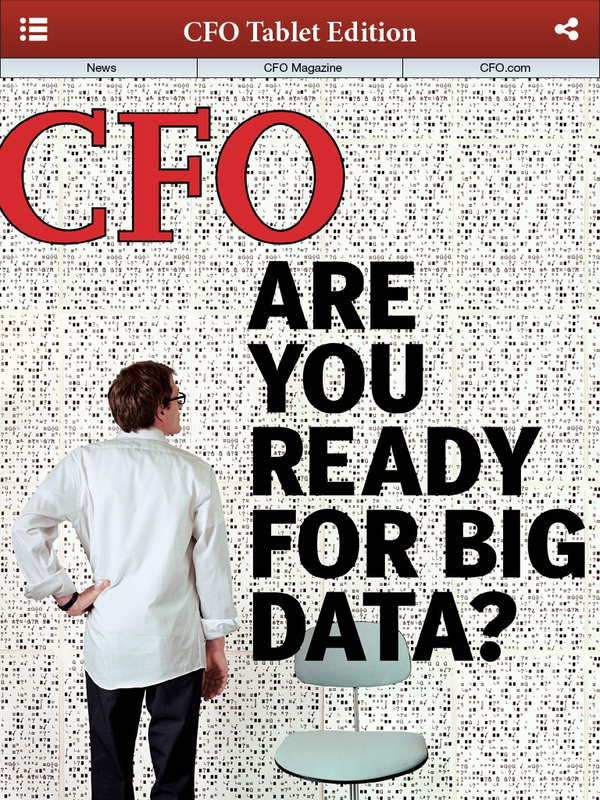 CFO Magazine offers stories, news and information specifically for finance executives. Readers of this niche magazine might find information on the latest accounting standards, risk management, and professional career development. If the content is not your cup of tea, the creative tablet publishing certainly should be! This section is a simple RSS feed that pulls stories directly from the website. CFO can change this to feature what they want. From here users can also jump straight into CFO.com to browse through current web content. When users click into the CFO Magazine the PDF replica of the print publication is displayed for a quick read. The third and final section is the interactive tablet edition. This piece is native, and designed for the device. The edition is beautifully crafted and provides a smooth and satisfying user experience. The contents page includes jump links, which make it easy for readers to jump directly into the content they want to read. The design includes beautiful scrolling A-Layer, and playful sponsored content tabs that readers can pull out to review, or push back and ignore. Having all three of these sections housed within one app gives readers many ways to consume CFO content. We highly recommend downloading this app to see the creative way they have bundled up CFO content. Check out the short video below to see the app in action.